Asus’ Zenfone series was one of the stars of the show at CES last year, and the company is back with its successors. Offering everything we loved about the original series, the Zenfone 2 brings with it great design and build quality, a very customizable software experience, and of course, an unbeatable price point. We got to spend some time with this device at CES 2015, and here is our first look at the Asus Zenfone 2! It’s important to note that there a few different versions of the Zenfone 2 available, with the iteration priced at $199 featuring a 5.5-inch 1080p display and 2 GB of RAM. While the price points of the other two versions are still unknown, one version comes with a 720p display and 2 GB of RAM, which should be even cheaper, with another featuring a 1080p display and a whopping 4 GB of RAM, which should be the priciest of the lot, but likely not by much. The different versions are powered by the 64-bit quad-core Intel Atom Z3560 or Z3580 processor, clocked at 1.8 GHz and 2.3 GHz respectively, depending on which version you pick, and backed by the PowerVR G6430 GPU. In this hands on, we are taking a closer look at the 720p iteration. In terms of design, Asus has managed quite a premium look and feel, with the front dominated by 5.5-inch display, surrounded by respectable bezels, and a row of capacitive keys below the display, all well protected by a Corning Gorilla Glass 3 panel. The power button is placed up top, which can be quite difficult to reach considering the size of the device, but the volume rocker has been moved to the back just below the camera unit. This silver version of the phone comes with a brushed metal finish on the back cover, that helps avoid fingerprints and smudges, but there are a slew of back covers available for the Zenfone 2, including a dual-tone option and flashy fractal design. You get 16 GB, 32 GB, or 64 GB versions in terms of on-board storage depending on which version you get, further expandable via microSD card up to 64 GB. The Zenfone 2 also comes with a standard suite of connectivity options, along with 4G LTE support, which is certainly a big plus for a device at this price point. A 3,000-mAh battery should keep this device running for a decently long time, but a more thorough review will be required before we can pass any judgement on the battery life. When it comes to the camera, the Zenfone 2 packs a 13 MP rear shooter with a 5-element auto focus lens and dual-color Real Tone flash, along with a 5 MP front-facing camera with a 85 degree wide angle lens, to capture even more in your selfies. Asus’ PixelMaster tech is in play here, allowing you to get great HDR photos, as well as photos that are said to be 400% brighter in low light conditions. The camera setup certainly seems impressive for a device in this affordable price range, and we can’t wait to put it through its paces. 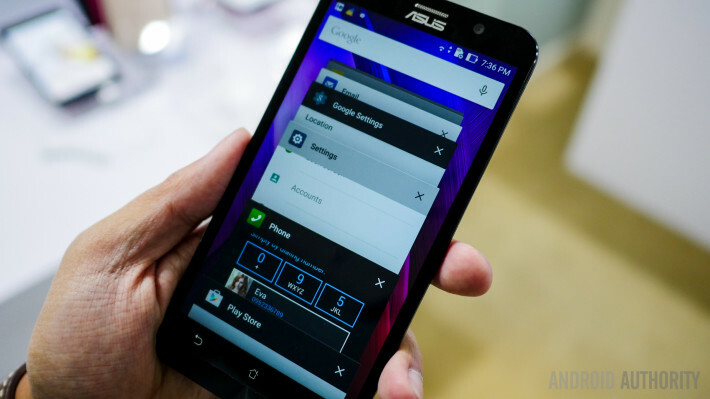 In terms of software, the Zenfone 2 smartphones are running Android 5.0 Lollipop out of the box, bringing it with some of the changes introduced with the latest iteration of Android, such as the card-style Recent Apps screen, the revamped notification drop down and quick settings menu, among other changes. As mentioned, the software experience can also be customized, with a lot of personalization options available to truly cater the Zen UI to your liking. 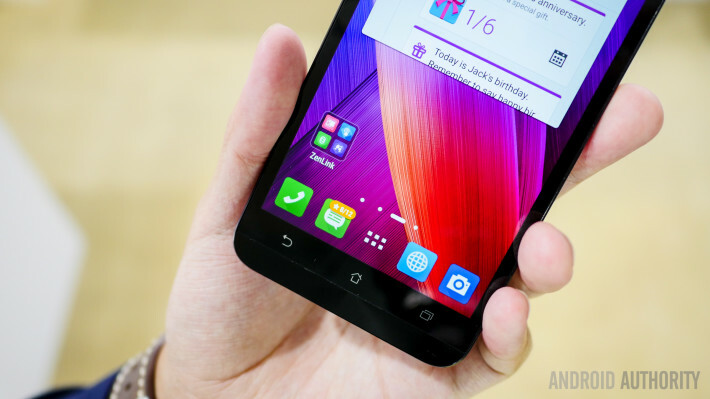 So there you have it – our first look at the Asus Zenfone 2! Stay tuned with Android Authority for the upcoming review of this fantastic affordable smartphone, as well as more great coverage from CES 2015!